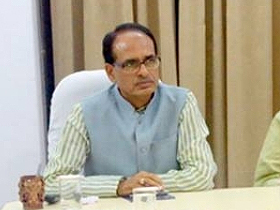 Chief Minister Shivraj Singh Chouhan will distribute laptops to brilliant students under Medhavi Chaatra Protsahan Yojana on June 28, 2017, in Bhopal. Students securing 85 per cent or more marks in MP Board Higher Secondary examination will benefit from the scheme. Students belonging to the SC/ST category must secure 75 per cent or more marks to avail the benefits of the scheme. A total of 18 thousand 578 students from both government and non-government schools are being given fund of Rs 25,000 per student for the laptop under the Medhavi Chaatra Protsahan Yojana this year. 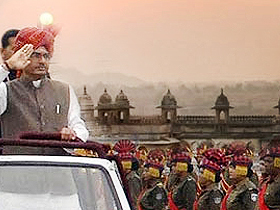 The School Education Department launched the Medhavi Chaatra Protsahan Yojana from the year 2009-10. 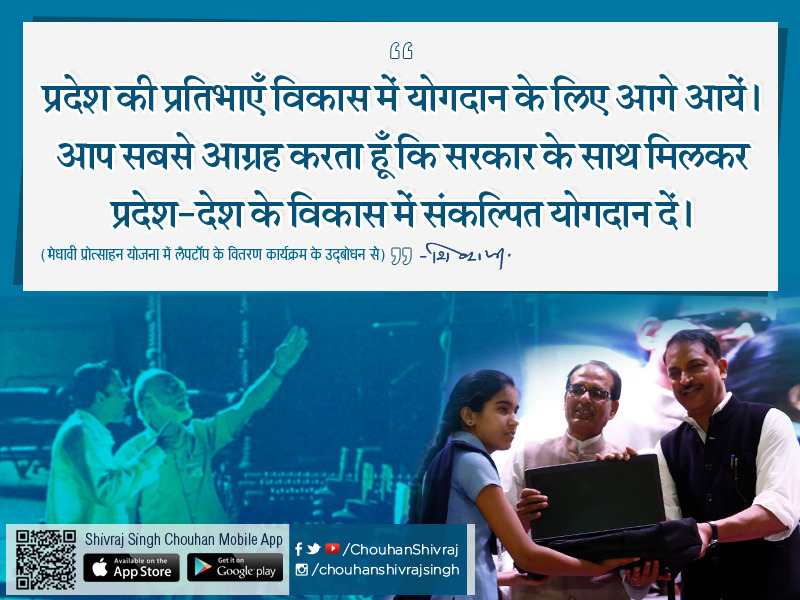 Rs 44 crore 74 lakh was distributed last year to 17 thousand 896 students for the purchase of laptops.